Some data on Russia’s armor programs appearing in the media prior to Tank Troops’ Day (11 September) didn’t get too much notice. RIA Novosti interviewed the chief of the MOD’s Main Automotive and Armor Directorate (GABTU), General-Lieutenant Aleksandr Shevchenko on 9 September. General-Lieutenant Shevchenko noted that the MOD plans to “modernize” new Tigr armored vehicles, and not just by mounting a 30-mm gun. They will, not surprisingly, go by the name Tigr-2. But no other details. Shevchenko confirmed Uralvagonzavod’s announcement that it has delivered more than 1,000 T-72B3 tanks. He also indicated that the MOD will receive 300 improved T-72B3. The improved T-72B3, he says, will have a better engine and better defensive and targeting systems. Some number of Russian T-90 tanks nearing the end of their service lives will be modernized under the “Proryv-3” program, according to the GABTU chief. The resulting tank is supposed to be superior to the original T-90. Regarding the Armata armored vehicle family, Shevchenko reported that the “experimental” lot of T-14 tanks will conclude initial field trials in 2016 and move into state testing. This will be completed in 2017 and followed by formal state acceptance of the T-14. Shevchenko added that the Armata BMP (T-15) and BREM, or armored recovery vehicle (T-16) also remain in preliminary testing and will finish state testing next year. Similarly, the Kurganets family — BMP, BTR, and BREM — from Kurganmashzavod as well as the wheeled Bumerang BTR from Arzamasmashzavod are on the same schedule. Of course, paying for testing is one thing. Ordering a production run is another. The Russian Army will eventually have to make some choices between these new armored vehicles. It won’t be able to afford all of them. Shevchenko added that these vehicles are being tested in arctic, mountain, and desert conditions. Other army systems (artillery, air defense, etc.) will be mounted on the same chassis. Robotic armored vehicles are in the works. He said the MOD doesn’t have a requirement for a wheeled tank. Discussions of service wish-lists for State Armaments Program (GPV) 2011-2020 have tended to overlook the Ground Troops. It seems they don’t enjoy the same priority as other services. But in late February and early March, there was a flurry of press detailing what the land forces intend to procure, at least in the short term. Arms-expo.ru, Lenta.ru, and other media outlets put out brief items on Ground Troops’ acquisition. They indicated the Ground Troops will emphasize air defense, command and control, fire support, and BTRs and support vehicles. But the best run-down of all came from Ground Troops CINC General-Colonel Aleksandr Postnikov himself in Krasnaya zvezda. Postnikov told the Defense Ministry daily that the main feature of GOZ-2011 is the transition from the repair and modernization of existing systems to the purchase of new, modern ones to reequip Ground Troops formations and units completely. First and foremost, according to the CINC, the Ground Troops will buy modern digital communications equipment and tactical-level automated command and control systems (ASU), like Polyana-D4M1 for air defense brigades. He said Ground Troops’ Air Defense will also receive modernized S-300V4 systems, Buk-M2 and Buk-M3, short-range Tor-M2U(M) SAMs, and manportable Igla-S and Verba SAMs. Postnikov says they will continue equipping missile and artillery brigades with the Iskander-M, new MLRS, self-propelled Khosta and Nona-SVK guns, Khrisantema-S antitank missiles and Sprut-SD antitank guns. The Ground Troops CINC says he foresees purchases of a new modification of the BTR-82A, BREM-K armored recovery vehicles built on a BTR-80 base and BREM-L on a BMP-3 base, Iveco, Tigr, and Volk armored vehicles, and new KamAZ trucks from the Mustang series. NBC defense (RKhBZ) troops will get the heavy flamethrower system TOS-1A, RPO PDM-A thermobaric missiles with increased range and power, and VKR airborne radiological reconnaissance systems. Engineering units will get the newest water purification system on a KamAZ chassis (SKO-10/5). In the longer term, Postnikov sees rearmament as one of his main tasks, and he repeated President Medvedev’s statement that the Ground Troops should have 30 percent modern equipment by 2015, and 70 percent by 2020. He laid special stress on getting YeSU TZ into the troops. 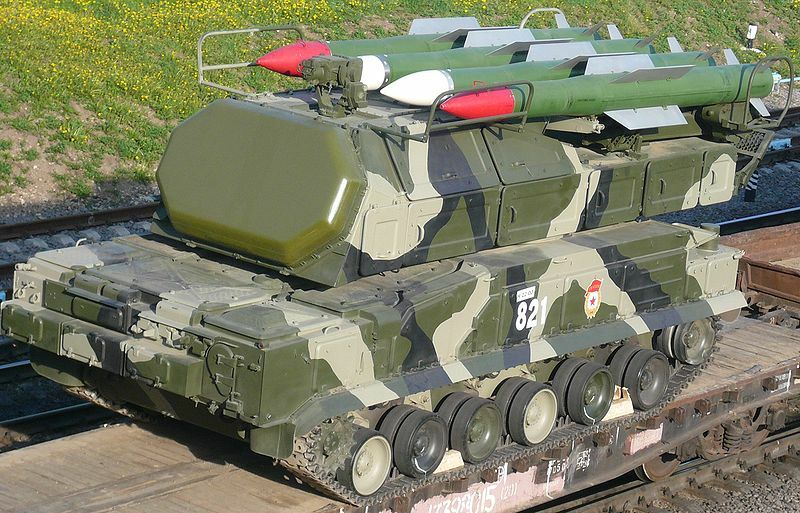 Postnikov’s Glavkomat has a Concept for the Development of the Ground Troops Armament System to 2025 emphasizing standardization, multi-functionality, modular construction, and electronic compatibility across several general areas: armor and military vehicles, tube artillery and MLRS, SSMs, antitank systems, air defense, reconnaissance-information support, UAVs, communications, automated command and control, and soldier and close combat systems. Moscow Considering Italian Light Armored Vehicles? Russkiy Newsweek yesterday said a source close to the Defense Ministry claims Moscow is considering buying Italian IVECO M65 vehicles, also known as the LMV (Light Multirole Vehicle). The source said negotiations are in the final stage, and LMVs are reportedly being tested in Russia, but opinions on their suitability for Russian conditions are varied. Another problem–the LMV is basically an analogue of Russia’s Tigr, produced by Arzamas Machinebuilding Plant, a company belonging ultimately to Oleg Deripaska. The LMV is 1.5 or 2 times more expensive than Tigr and carries fewer personnel. But it is considered more explosion resistant. Deripaska’s people dispute this, however, saying it depends on how close the vehicles are to the explosion. Russkiy Newsweek says the LMV was shown to Putin last year, and Medvedev this year. It adds LMV to a list of proposed or actual Russian arms buys abroad, including British sniper rifles, Israeli UAVs, and French Mistral helicopter carriers. The possibility that United Shipbuilding Corporation (OSK or ОСК) chairman and Deputy PM Igor Sechin (a long-time Kremlin insider and Putin crony) could still derail the Mistral deal is raised, but somehow this seems unlikely now for many reasons. Why wreck a lucrative deal when you can get a piece of it instead? The article concludes noting that this is the logical continuation of a new Russian military-technical policy–Russia can no longer be considered a closed market and soon Russian companies will have to compete with foreign producers for this internal market, according to CAST’s Ruslan Pukhov. But there’s more to this story than that . . . some foreign samples are always good if you can get them, some palms might get greased in the process too. It’s not a bad idea to scare the domestic defense industries, but are they really in a condition to compete with foreign producers? Rather than stimulate them to get better and more efficient, they could just collapse in the face of a real competition for sales. And it really goes against everything Russian to rely on foreigners, especially when they’re part of an allegedly hostile NATO. But mucking about in NATO’s Old European rear area isn’t bad for stirring a little alliance discord. Just weeks ago too the Russian press had stories featuring President Medvedev with the Tigr and the VDV seems pretty committed to the vehicle. Let’s just say many factors are in play, which will be the critical ones?